This entry was posted on January 26, 2012 by Sports Traveler. Texas Motor Speedway isn't just another cookie cutter mile and a half track on the NASCAR circuit. TMS is built for speed and all the drivers will tell you that this track is tough to tame. The track runs so fast that in 2001 they had to cancel a Champ Car race because the drivers were experiencing over 5 G's. That much G force could cause someone to black out and drivers zooming around the track incapacitated at 230 mph isn't exactly a safest idea. Stock cars don't quite make it to 200 mph but with 43 cars on the track it becomes a speed infested free-for-all. After TMS was repaved in 2006, it became the fastest track on the modern NASCAR circuit. Faster times have been recorded at active tracks but the speeds were recorded before NASCAR took measures to limit horse power for safety reasons. Speed Note: During test sessions this month at Daytona International Speedway the drivers were topping 200 mph. In recent times NASCAR has tried to stay away from the 200 mph mark for safety reason, but speeds were comfortably over 200 mph during testing. "It's embedded in our minds we can't go out there over 200 mph in race conditions," he said. "Somehow it's become accepted and I think that's a good thing. It's very comfortable. It's extremely comfortable." 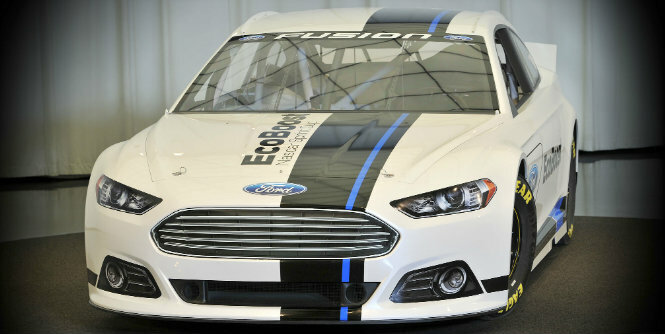 On Tuesday of this week NASCAR introduced the new Ford Fusion body for the 2013 season. The car looks absolutely great. It has a very modern look to the body and you can tell that Ford and NASCAR really wanted to put together a more natural looking style for stock cars of the future. I think that Ford has the right idea here. It has been a long time since the "stock cars" being used in NASCAR even remotely resembled that of a car that you would find in someone's driveway. Should be interesting to see how Toyota, Dodge, and Chevy respond to the impressive new body style of the Fusion. If you are looking for race tickets to the 2012 Samsung 500 at Texas Motor Speedway then check out our great selection of pleasantly priced tickets. Sports Traveler has tickets available for the Samsung 500 and all other NASCAR races in 2012! Need lodging too? No problem. At Sports Traveler we offer great deals on travel packages to Texas to see all your favorite drivers battle to take that famous trip to victory lane. 2012 Samsung 500 travel packages can include lodging, tickets to Sprint Cup and Nationwide race, hospitality options, scanner rentals, pit passes, and so much more! If you are interested in finding out more information on purchasing tickets or a travel package then give us a call @ 888.654.7755. 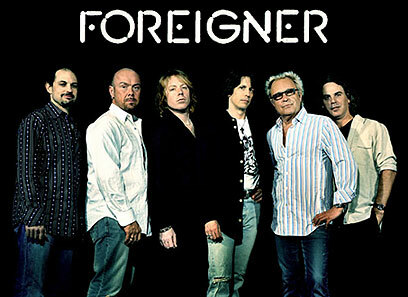 *For those of you going to the 2012 Samsung 500 this spring be sure to get to the track early and catch a pre-race performance from the legendary rock group Foreigner!